CB2001 wrote: Okay, better question: Who here has thought about making a SKAR model? There's another one now - K.I.A.N. Look for "K.I.A.N"'s posts. (No period after the "N" in the username). The car is two-tone like car but pink on top, white on the bottom. And a pink scanner to match (I imagine her vox box is like KARR's only pink). Update on question: Who here has thought about making a SKAR and s KAIN model? If I can get a couple KITT model kits, I'd do KITT, KARR, SKAR, and KIAN Only I have NO idea where to get gloss pink paint. Mix gloss white and gloss red together and you got glossy pink. Duhhhh... I have no idea why I didn't think of that - and I went to art school at one time! Of course, you're right. I'm sorry, I wasn't trying to diss you in any way, FuzzieDice. I'm not sure what level of modeler you are, if you have an airbrush or if you prefer using the spray cans. You may want to check your local Advanced Auto Parts store, because they've got Dupli-Color paints and they've got florescent colors (as well as a variety of other colors too). No, I mean, I'm saying DUH to ME being not able to remember that. Text doesn't do justice... IOW, I was kinda like hitting myself over the head for not thinking of that myself. Nothing against you and I know you weren't dissing anyone. I hadn't known about Dupli-Color flourescent paints. I never really looked. I think the hobby shop had some small bottles of flourescent though. Amazing what they have these days. I haven't built a model in years. But I used to do a lot of them as a kid and in my 20s. All I know is the old fashioned way. I would like to get into it more again some day. It'd be neat to have all these KR and Knighted Rides in a collection. I do wish you luck on your return to the modeling craft. I'm in my 20s right now, and I know I've got a ways to go before my skills can get better. Other than the ones I've done so far, I have considered on doing my own "kars" so to speak (maybe KAM and KIFT, from my old "Team Renengade Knight Rider" fan fic series). But right now, I am working on modernized versions of KARR and KITT (from two die cast 1999 Trans Am Firebird models). Cool! I was at Radio Shack this morning and they had ZipZaps on clearance for $10 apiece, and the T/A body kits (bandit T/A with gold eagle, in black and the newest (last) T/A in yellow). I was tempted but those cars are so SMALL. Not worth it to me. The bigger ones they had were all imports. Ah well. I'm going to try and get to K-Mart and/or the Mall in the near future, maybe I'll go look in those places for at least '80s firebird models. I'd grab about 4 and do KARR, KITT, SKAR and KIAN. But even those are hard to find. Might have to order those online. FuzzieDice wrote: I'm going to try and get to K-Mart and/or the Mall in the near future, maybe I'll go look in those places for at least '80s firebird models. I'd grab about 4 and do KARR, KITT, SKAR and KIAN. But even those are hard to find. Might have to order those online. They're not just hard to find, they're nearly impossible to locate really. For some strange reason, ERTL only manufactured 1:24 and 1:16 scale diecast tin 1982-83 Firebirds, but they had awful wheels and were not really accurate with the real cars. And these are very hard to come by even in ebay. At least some good news. ERTL will probably release a 1:18 scale stock Firebird together (hopefully) with the diecast KITT (but sold separately). But the question is, if the 1:18 KITT becomes available, will we still buy the stock version? I would probably purchase one if my finances allow it. Otherwise, its only one model for me, just the 1:18 KITT (Aoshima version preferred if available). I would rather the plastic model kits though so I can color them and change them into KARR, etc. if I want. FuzzieDice wrote: I would rather the plastic model kits though so I can color them and change them into KARR, etc. if I want. They too are pretty hard to come by nowadays. While AMT and Monogram kits of late 80's type Firebirds are common, they're not really good enough for KITT conversions (no front fender vents, incorrect tail lights and seats). The really good ones are the 1982-83 MPC, Revell and Monogram Firebirds (although Monogram doesn't offer t-top versions) which are really scarce. But the best of the best is the first version release of the MPC Knight Rider car. The one with the Corvette promo or the one with the "Golden Opportunity Kit" logo. Both these versions command exorbitant prices in ebay when they are MISB (mint in sealed box). Yes, the AMT/ERTL models aren't 100% accurate. BUT, the thing about models is that they aren't meant to be 100% accurate when it comes to them being movie/TV vehicles and constructing them. I mean, look at my TKR models for an example. Though I know all the vehicles were 1997 year modeled Fords, I wasn't able to find the exact kits for them. I had to go with what I had. And what I had was a '98 Saleen, a '97 F-150 Extended Cab (Beast was a flareside) and a low-ridin' Expedition. I had to make do with what was available. My point being is this: Models that fans build are representations, not replicas. I've seen quite a few variations of KITT made by fans, including a white colored KITT. If you're going to be a KITT model, then you wouldn't care about the kits accuracy, unless it is affecting the building of the model in some way. I believe I build representations of vehicles. I'm sorry if it appears that I am rude. It was not my intention on doing so. And I apologize for offending you if I did, again not my intention. I didn't think you were rude. I see what you mean. I've been trying to find KITT and also just T/A's including a Bandit. They really are hard to find. I just keep my eyes open. Only I'm not too fond of the nose. Too chunky. I'm holding out for just the right "nose". Same here, everyone is entitled to each one's opinion. As for me, I like my kits to have the same exact proportions as what the box says. Take for example the 2002 reissue AMT/ERTL KITT kit. On the box and side covers, the picture of the built model actually has the fender vents and correct tail lights. When you open up the box, you will be surprised to learn that the body does NOT have those vents and does NOT have the correct tail light assembly. This is blatantly unfair to the consumer who wants to build an exact model replica. There are people who want to build representations, and there's no problem with that. But what about people who want to build exact replicas? They buy this kit hoping to build it as it is shown on the box, only to find out later that they have been had! What a shame AMT/ERTL, and to other model/toy maker out there who have dupped the fans. HondaSiR- Before I begin, I do not mean to offend you with this reply. I apologize in advance if you are at all offended by my reply. Even so, your point does bring up a problem. You said "an exact model replica", right? How can a fan make an exact model replica, when KITT has so many variations to him? Look at "Knight of the Phoenix for an example. KITT's bumper changes in between two types, the original prototype and the style bumper that we see mainly throughout the rest of the series. But then again, throughout each season, KITT's bumper changed. And, correct me if I'm wrong, but didn't those vents disappear by Season 4? So, when you say "an exact replica", it's impossible for an exact replica to be true because like his human counterparts, KITT himself goes through an evolution. So, even if they wanted to, it's still a representation, because its representing a certain period in the series. But, even as a fan, the model hobby craft affords opportunities and challenges. However, the original MPC model wasn't 100% accurate, either. I mean, throughout all the episodes that we've seen... In what episode do we see "Knight 2000" on the nose of the front of the car? I have to also refer to a previous post I made here. I read an article on TV and movie car kits in an issue of Toy and Car Magazine. They had a special "Entertainment Models" article. In the artical, it talked about MPC and their original General Lee model. From what it was stated, it was common then (and still now) that most models that were meant to be TV/Movie related merchandise were in fact retooled from other models. The MPC General Lee was retooled from anothe Charger model that the company had printed. Not 100% accurate, yet fans still bought it and put them together. The same can be said with the MPC KITT kit. A fan trying to make "an exact replica" would be impossible, particular with cars from TV shows and movies. Some TV shows use one particular vehicle for the star car, like the '57 T-Bird in "Vega$", but the car is never damaged nor changes in the show. KITT hasn't stayed the same throughout the whole series. He's been taken apart and rebuilt so many times that even I can't remember the number of times its happened. So, building an exact replica for KITT would have difficulty, because there's so many variations. There is a solution to this, by saying "building an exact replica of KITT as he appeared in (insert season here)". Therefore, an exact replica would be a representation. Though I know that it doesn't back up the flaws of the KITT kit, but these flaws are minor to "Knight Rider" fans who always wanted to have their own KITT, but didn't have enough money to buy the real thing and do the conversion on it. This has to be true, because I'm sure that the Kenner KITT car had many of flaws that fans didn't mind. There's one thing that is a fact, it doesn't matter what the model's accuracy is suppose to be. It's about what the finish product means to the fan who builds it. True...model kits do have their shortcomings. And the original Knight Rider kit has its flaws, being retooled versions of MPC's stock Trans Ams. But it still does not explain why the AMT version shows a different car on the box cover. No matter how good a modeler you are, it is nearly impossible to recreate a vent on the fender. Granted that KITT was shown in the 4th season as having no vents, if AMT's actual model has no vents, it should reflect on the pictured model. Why didn't they just picture an actual finished AMT KITT on the cover? It's because if nitpicking people (like me) would see the absence of the vents or the correct tail lights, I would probably not buy it. It's that simple. Sadly, AMT/ERTL elected to deceive the consumer in hopes of turning in a huge profit margin before word gets around that the current kit is a pale shadow of its former self. By the way, no apologies are needed...I welcome any and all opinions. Needless to say, it's a good kit to use for a kitbash project (no pun intended). Seriously. If you can find any old MPC '82-84 Trans-Am models, you can just borrow parts from the latest print of the KITT model and combine them with the older model (maybe it'd be a bit closer than the retool. What were the license plate numbers for the vehicles in TKR? That includes the motorcycles if they had them. CB2001 wrote: Needless to say, it's a good kit to use for a kitbash project (no pun intended). Seriously. If you can find any old MPC '82-84 Trans-Am models, you can just borrow parts from the latest print of the KITT model and combine them with the older model (maybe it'd be a bit closer than the retool. Nope, we would still need the original MPC 1st release box set in order to obtain the correct tail light assembly. Neither the reissued AMT kit nor the 1982 Firebird kit has this. 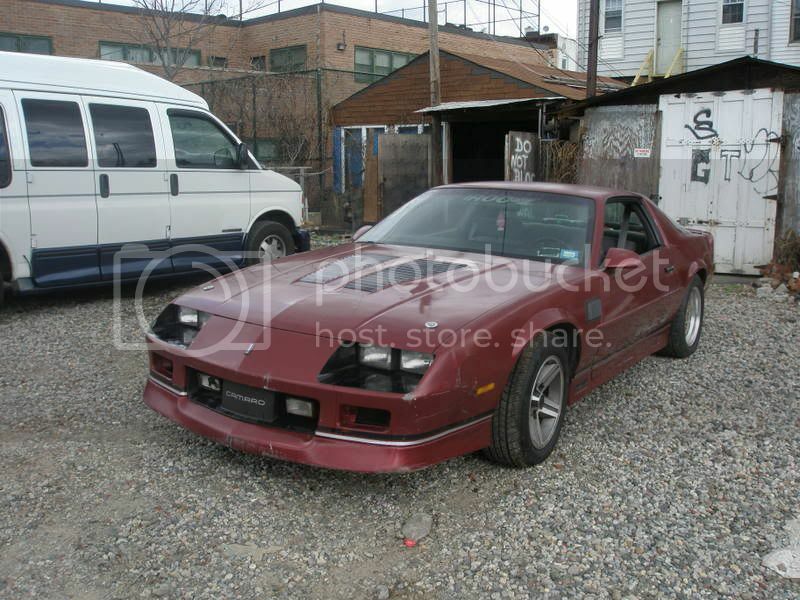 Well, I did come across a Trans-Am kit on e-bay a whule back. The model on the box looked like a KITT model, except with that standard Trans-Am front at the time (it was painted black, had the bowling ball hub caps and was a T-Top as well). Besides, I'm sure its easy to modify the back to fit the correct tail light assembly in. I mean, in the show, the car was modified from regular Trans-Ams. FuzzieDice wrote: Cool! I was at Radio Shack this morning and they had ZipZaps on clearance for $10 apiece, and the T/A body kits (bandit T/A with gold eagle, in black and the newest (last) T/A in yellow). I was tempted but those cars are so SMALL. Not worth it to me. The bigger ones they had were all imports. Ah well. I'm going to try and get to K-Mart and/or the Mall in the near future, maybe I'll go look in those places for at least '80s firebird models. I'd grab about 4 and do KARR, KITT, SKAR and KIAN. But even those are hard to find. Might have to order those online. I was trying to get my dad to buy me the Bandit Body. Anyone want to buy my zip zaps? I've got the SE and the original Zip Zaps. I have all the upgrades. Not only am I almost done with my Niobe Firebird, but I have just done the painting for my modernized KARR, painting the lower half of the car with silver. I may have final assembly done on the die-cast soon. Again, I point out the modifications made on the '99 Trans-Am die-cast is an exterior mod. If I decided to do an interior modification later on, I will. Are you starting the two-tone at the exact middle of the car, or are you starting it from under the streaks on the doors? Starting it on or under the door streaks will give it more of a silver trim look as opposed to a full two-tone look. For the 4th generation Firebird, since the body is different, the middle section of the car doesn't have lines on it directly in the middle, so the two-tone may not appear as natural on the 4th generation Firebird as it did for the 3rd generation Firebird in K.A.R.R. 's case. I've got the silver starting a small bit above the the door streaks. It's right on the top of the top vent for the vents on the behind the front wheel wells and down. Basically, I made a judgement call on where the middle of the car was and worked from there. True, well I'm sure it looks good, post a pic when you're done with it.